Students: exercise your democratic muscle and vote on the U-Pass. The discounted, three-zone passes mean you would only have to pay $30 a month for public transportation, as opposed to the $81-$151 per month you pay now. 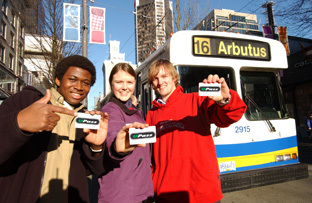 If you vote to accept the U-Pass, passes will become available in Spring 2011. For more info, contact the Douglas College Students' Union.